We all know that first impressions are everything—especially if you’re out to find “The One” … or to have a successful Tinder date for once. We hate to break it to you but nailing the location of the date might make or break the potential for date number two. Though dinner and a movie is a tried and true combo (and we don’t mean Netflix and chill!) there’s nothing like some ambience and an epic cocktail to soothe the nerves and wash away those awks first date vibes. Here are the best bars to impress your first date… you can thank us later. Cocktails and meatballs may be just as good of a pairing as you and your date! Ponsonby Central’s Bedford Soda & Liquor is an absolute classic date spot ticking all of the boxes. With some of the most exciting cocktail lists in Auckland, there is no shortage of fun at this quirky bar. With everything from the punch pitchers, entertaining smoking cocktails to the perfect classics, up those cheesy date vibes by going one drink, two straws… you know the drill. No worries if you and your date get a bit peckish, either—with their dedicated meatball menu, create a plate of epic proportions as you both get to pick, choose and tick through their laminated menu! Let the masters behind the bar shake up a creative libation, as you and your date get your game on with a selection of board games at The Gin Room. A perfect way to avoid those snooze-worthy first date chats, serve up some nostalgia with classic games like Yahtzee and Connect Four. 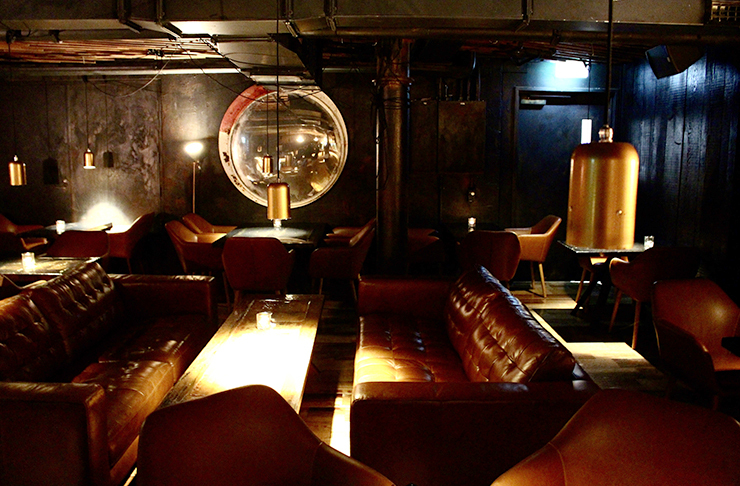 The interior of this wee place oozes cool but comfy, with 1920’s speakeasy vibes and lush velvet sofas. Their cocktails are meticulously crafted, and the bartenders seriously know their stuff, with two whole pages dedicated to a range of gin and tonics. Not to worry though, they’re well-stocked with all the other bevvies you know and love. Nope, you haven’t taken a wrong turn—continue past the paint pots and through the door of the janitor’s closet, and you’ll find yourself in one of the best little date spots in Auckland. The dim-lit Caretaker full of vintage bric-a-brac and plush leather chairs to sink into and is the perfectly intimate little space to get to know your date. Specialising in all things “cocktail”, let the bartender take the reins with the only direction you give them being your liquor and flavour preferences. 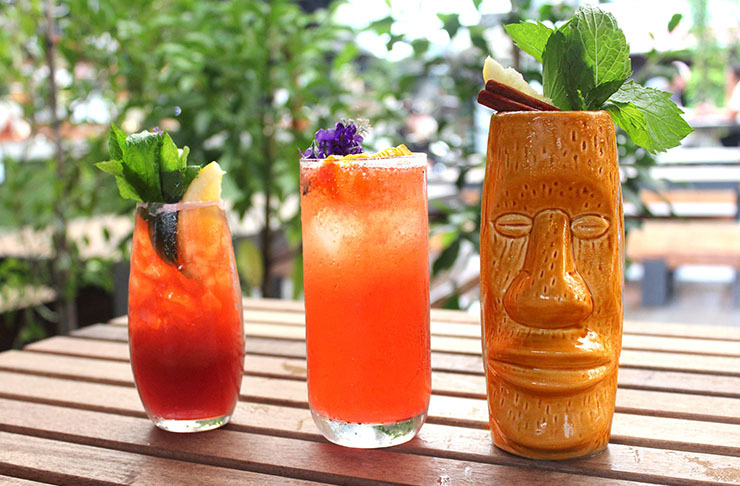 You’ll come out with an exciting, one-of-a-kind cocktail to start your best first date yet. Though you have to go through a broom closet reminiscent of Narnia, where you’ll end up might be even better. As one of Auckland’s best-kept secret date spots, you’ll have to work to find it. Make your way through the revelries in Harry or George on Ponsonby Road, and fumble through the closet and down a set of dimly-lit stairs to Jack. The excitement has just begun for you and your date, as you’ll enter the small bar manned by one expert bartender, as you choose from the daily-rotating cocktail menu. Away from the hustle and bustle of the main street, sip your way through the cocktail list with unparalleled views over Auckland’s city lights. An adventure to a secret and oh-so-wonderful bar = best first date ever. Stepping inside of Freida Margolis will make you feel like you’ve been transported straight to somewhere in Paris or Manhattan, with live music and décor nothing short of oh-so-cool. This theme continues right through into its drinks list, which only features boutique wines and craft beers which are sure to impress. Each drink will feel like a discovery of sorts and are well-complimented by a small tapas menu which is perfect for sharing. With that local and friendly vibe us Aucklanders love, this Grey Lynn spot is sure to have you chatting the night away before you know it. There’s no doubt a sense of mystery as you embark to find Pineapple on Parnell—and what’s a first date without a dash of that? With no neon signs, Instagram page, or address on the website, your date will no doubt be bursting with curiosity leading up to the night. Get ready to be seduced by old-world charm as you pass through the pineapple-emblazoned door. Draped in green velvet curtains, adorned with gold-tilted mirrors and an oh-so-inviting fireplace, you’ll be calling this place home for the night. You’re encouraged to get dressed up to the occasion, which isn’t something you get to do nowadays for a first date—how exciting! The bartenders specialize in cocktails but also have a range of beers on tap as well as a solid wine list, so you can’t go wrong with this bar oozing with secrecy. 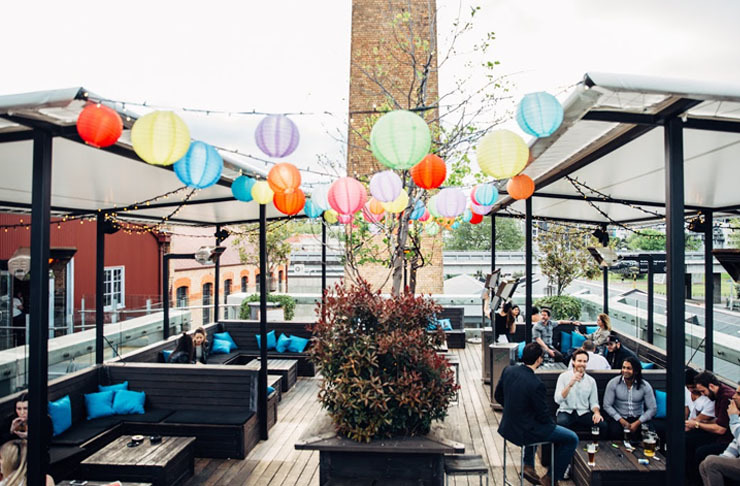 Everyone loves a good rooftop, and that is a fact. Another fact, is that La Zeppa in Freemans Bay has one of the best rooftops as a perfect setting for a fun and relaxed first date. Decked out in paper lanterns and fairy lights, this is one tremendous spot that will melt the first date awkwardness away with their casual yet cool vibe. Perfect for an arvo date or for staying out ‘til the wee hours of the morning, this bar has it all. With its outdoor fireplace, tasty tapas, extensive drinks list and plenty of room to chill out, this is the way to go for a fun, no-pressure date out on the town. You don’t have to be a cocktail lover for a perfect date sure to impress! Jervois Road is home to some of the best places to eat, drink and play, and Jervois Road Wine Bar & Kitchen is no exception. With an expertly refined wine list, you can sip your way through luxury and artisan tipples all night long with your date. Drinking will no doubt work up an appetite, so make sure you choose from one of their cured meat platters to share. Wine, a meat board and your awesome yarns (obviously) will make for one romantic night out! Take a vacay with your new bae (maybe) at Talulah! Walk up the stairs through The Chamberlain and transport yourself to a tropical paradise. You’re now officially on island time, as you find the perfect pozzy around the funky resin bar embedded with flowers. Each drink is a piece of art in its own right, and if you haven’t seen the pics on the ‘gram yet—you and your date are in for a helluva treat. 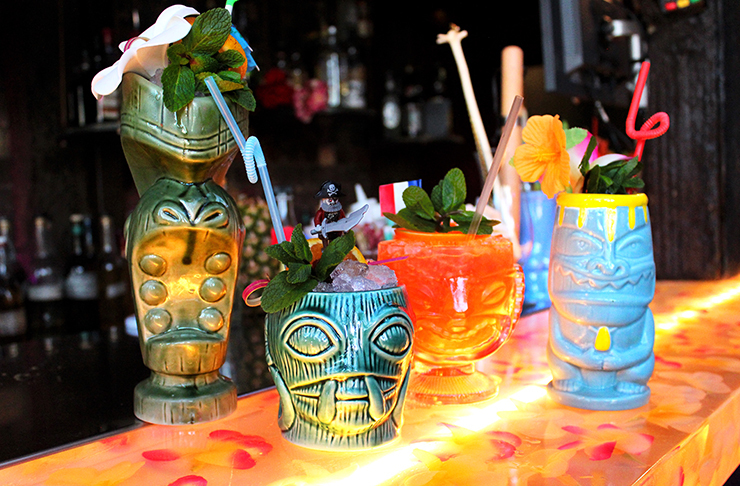 Sip your way through the cocktails served in tiki heads, coconuts and even beside tentacles, filled with concoctions that look, smell and taste phenomenal. There’s nothing like a bit of paradise to wash those first date nerves away! Serving up stunning views, epic eats and perfect cocktails to boot, Seven is one first date spot to be remembered. The Asian-inspired food and drink menu has it all—we recommend you kick your date night off with the salted coconut espresso martini, which is even better than it sounds (if that’s possible!). This rooftop bar has unforgettable views of the Auckland harbour, which you guys will no doubt be gazing at… if you weren’t so distracting by their drool-worthy menu. The menu features a jaw-dropping duck and bao combo, and a dedicated dumpling section—which is sure to keep you and your date very happy. Views, dumplings and a cocktail list that’ll blow your mind is one first date combo you can’t go wrong with!